Owing to its increasing popularity, Rasta Cafe has opened its second outlet near Kalyan Nagar close to the ORR and cleverly named it as Rasta S02E01, cashing in on the popularity of American TV series. The establishment is huge and is spread over two floors, a cafe section on the ground floor and the bar on the top one with indoor and outdoor seating available. As soon as you enter you are welcomed by a huge stone lion, which seems a bit out of place. The Cafe section serves a variety of savouries like pastries, waffles and coolers. They also have some limited breakfast options which you can choose from. 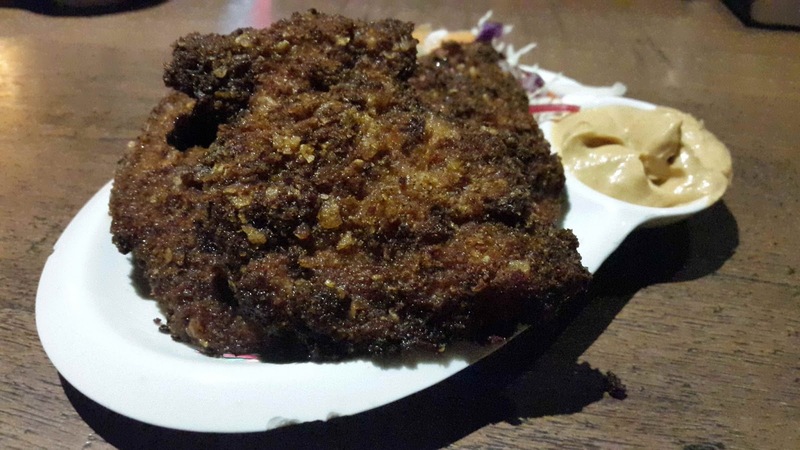 My favourite dish in the food menu is the Crispy Chicken Tenders; well marinated boneless chicken breasts, fried in a breadcrumb batter. The dish goes extremely well with a mug of beer and is optimally spiced. 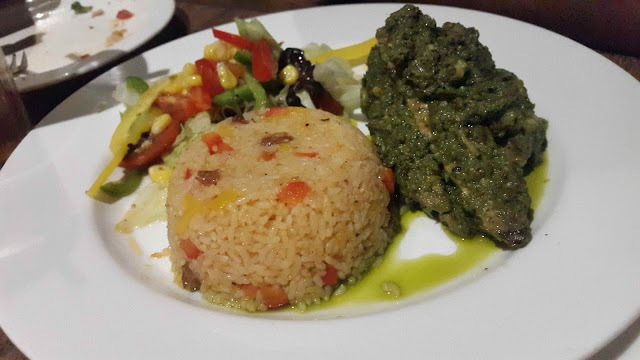 Other dishes worth trying include the Jamaican Jerk Chicken and Herbed Chicken with Rice. The Jamaican Jerk Chicken was prepared with a spicy marinated chicken in the so called jerk sauce. native to Jamaica, served with rice and veggies. It was spicy but tasty with the marination having penetrated through. 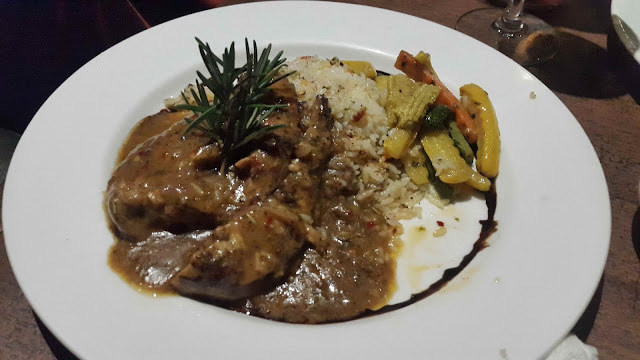 The sauce in the herbed chicken was thick and flavorful, and went well with the perfectly cooked rice. In the cocktails, they have a pretty strong Long Island Iced Tea, made with the goodness of five different types of alcohol as is the norm. Though their pitchers are a bit on the pricier side, going through one of them would definitely leave you tipsy. Unlike the original parent establishment, this outlet doesn't serve hookahs and shuts shop at 11pm. While this may be their attempt at commercializing the restaurant, the original thrill of the drive and the hookah is missing and leaves a severe gap in the experience that one was used to in Rasta Cafe.